Territory Bro is a tool for managing territory cards in the congregations of Jehovah’s Witnesses. Currently it can be used to print new territory cards with up-to-date street maps. In the future it will also keep track of loaned and returned territories, and produce statistics of covered territories. 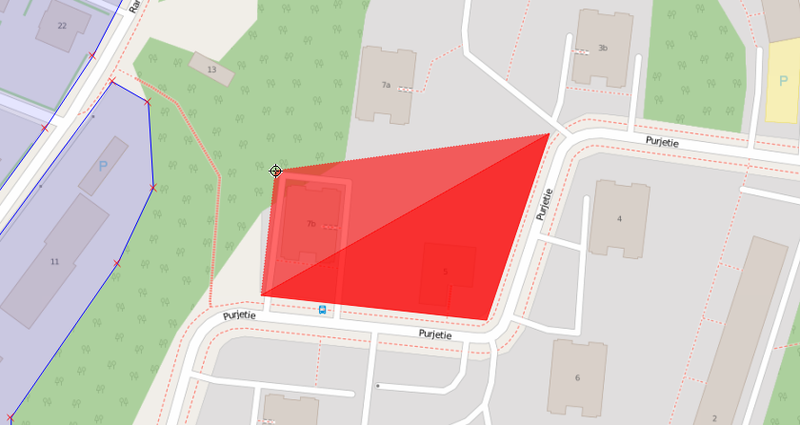 This is done using the free QGIS application and saved into a database. Multiple people can edit the same database online, so the work of drawing the territories can be delegated easily. If you have already drawn the territories as polygons or lines with a map editor (e.g. Google Earth), it’s possible to copy the geographic data from there and save many hours of work. 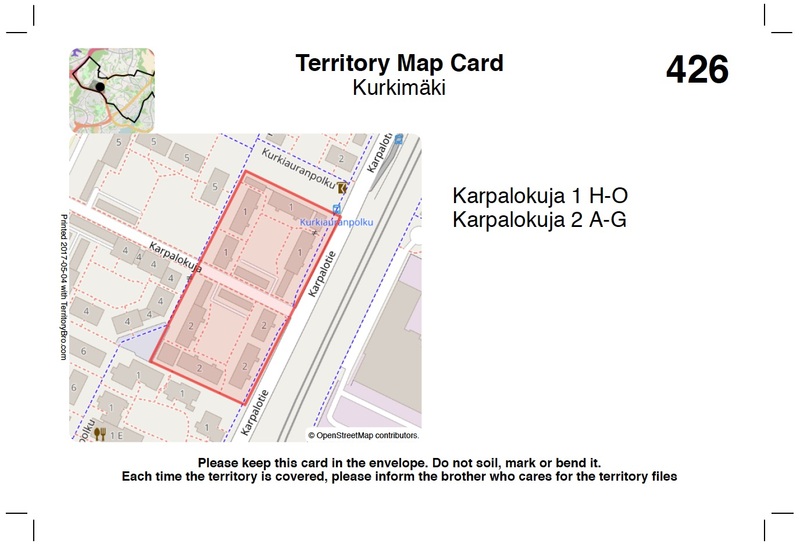 Territory Bro will print the territory cards along with their metadata (e.g. territory number, addresses). There is also a minimap which shows where the territory is located within the city. Print it on thick paper, cut with a sharp knife and ruler along the crop marks, and you’re done! To start creating new territory cards for your congregation, read more from the User Guide.